Nicholas Bloom is the William D. Eberle Professor of Economics in the Department of Economics at Stanford University and a Co-Chair of J-PAL's Firms sector. He is also the Co-Director of the Productivity, Innovation and Entrepreneurship program at the National Bureau of Economic Research (NBER), and a fellow of the Centre for Economic Performance and the Stanford Institute for Economic Policy Research. 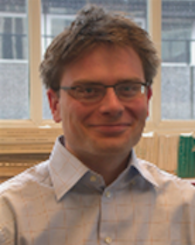 His research interests include measuring and explaining management practices across firms and countries, the causes and consequences of uncertainty, arising from events such as the credit crunch, the 9/11 terrorist attack and the Cuban Missile crisis, and the effect of innovation and IT on factors such as tax, trade, and regulation. Nicholas earned his PhD from University of College London. Our research suggests about 20 percent of the productivity gap across countries is simply due to difference in management, and fixing this would raise hundreds of millions of people out of poverty. What got you interested in development economics, and particularly in management practices in China, India, and other countries around the world? About half of cross-country differences in income can be explained by variations in productivity. So productivity plays a massive role in shaping poverty, and anything we can do to improve productivity in developing countries will help them to improve their standards of life. And from personally visiting factories in Asia and Africa it seemed pretty clear one major driver of low productivity in developing countries was bad management. Little examples make this clear – for example, the time I visited an Indian factory and found most of the workers idle as both elevators had stopped working due to a lack of maintenance, so the one ton beams of cloth that are part of the production line were being carried individually by seven men down the stairs. This was both a massive hit to productivity and incredibly dangerous. It was also completely preventable – basic maintenance of equipment would have avoided the problem. Our research suggests about 20 percent of the productivity gap across countries is simply due to difference in management, and fixing this would raise hundreds of millions of people out of poverty. What is one current research project that you're particularly excited about? One striking fact we keep coming across is that even after presenting work and ideas on modern management practices firms are reluctant to adopt them. This is as true for researchers like me in field experiments as it is for massive multinationals when they try to get their suppliers to adopt new practices. It is incredibly hard to get firms to take up modern practices like quality control, inventory minimization, or performance reviews despite clear evidence of their boost to performance. One explanation is they simply do not work in the developing country context – maybe we have this all wrong and in India or Kenya we do not need inventory or quality control. Another hypothesis is firms do not understand these practices, and we need to take more time on training and implementation. A third story is internal conflicts prevent firms from taking up change – change creates losers and these people block progress. So we are working with a large US multinational firm to evaluate the drivers of adoption of modern practices in their supply chain, experimenting with training, consulting, and demonstration projects. I would love to evaluate a large-scale demonstration project. I think setting up efficient factories and letting managers tour these in person, in detail and over several visits, could be the singularly most effective way to help firms improve. The precedent for this is the US Agricultural Extension Programs which started setting up model farms over 100 years ago, and allowed American farmers to tour these farms. The farmers upon seeing the massively greater crop yields became converts to the idea of using fertilizers, hybrid seed-corn, and mechanized equipment, helping to rapidly accelerate productivity growth in agriculture. Similarly, the Japanese government has long supported demonstration projects, with some of their most advanced firms like Toyota or Nissan openly allowing factory visits. So, I would love to formally evaluate demonstration projects, comparing this to alternative channels like classroom training, management consulting, and online web advice (a Khan academy for managers). What is your most memorable story from the field? I ran a randomized evaluation on working from home in a Chinese firm with John Roberts, Jenny Yang, and James Liang. John is a fellow Stanford professor, while Jenny and James were both Stanford PhD students. But James was leading a double-life – he was both a Stanford PhD student but also the Chairman (and founding CEO and largest shareholder) of CTrip, China’s largest travel agent with 15,000 employees and listed on Nasdaq. So going out to China to visit CTrip with James was an amazing experience. James went from being my PhD student to being the top person in a massive corporation. When we arrived at CTrip the security guards rushed out to meet him, people ran to open doors or press lift buttons for James, everyone seemed to wait on his every word – he was the legendary founder of the firm. I felt like I was in the entourage of some Hollywood star. Yet back in Stanford it was back to the Professor-Student role – James would be in my office for advising meetings or discussing problem sets, or sitting in lectures or seminars. And however hard it was for me, it was amazingly tough for James, and impressive how he could keep this double persona of super-successful executive and humble graduate student. Any other story/news you'd like to share with us, or hope for ongoing or future scale-ups with partners? I am also very excited to be setting up formal management surveys with statistical agencies in many countries around the world. The old saying is “what gets measured gets managed” is as true with management as with anything else. So to help countries develop their management practices we have set up a formal management survey in the United States run by the Census Bureau and are now rolling this out to other developed and developing countries to enable them to benchmark their firms, industries, regions, and types of practices against the US. For example, Pakistan just finishing surveying around 10,000 firms using this tool and we are currently preparing a formal management report and evaluation for them. This is a key step forward to focusing policy on helping business improve its performance, enabling them to grow so they can improve employment and raise wages.